A successful sale starts with a quality lead. That is the reason why every business strives to get as many new leads as possible and turn them into customers. However, lead generation is an ambitious goal, especially now, when buyers have become well-informed and fastidious. No wonder that 65% of online businesses consider traffic and lead generation to be their biggest marketing challenge. Creating an ecommerce lead generation strategy that would work requires not only lots of effort and creative thinking but also a bit of luck. And it will take some time till you see tangible results. To support you in this tough endeavor, we have outlined killer techniques that will help you get more leads for your ecommerce business. Email marketing remains one of the primary lead generation channels for business across various fields, including ecommerce. With an ROI of 122%, this technique has proved to be more effective than any other marketing channel. To unlock the full potential of email marketing, it’s vital to create a well-thought-out email strategy that would help collect email addresses from website visitors and engage them via content. Getting those email addresses is tricky, as, usually, customers do not want to share their email addresses. What you can do is to offer some kind of a reward to your newsletter subscribers. It can be a special deal, a discount, a voucher or any other incentive that would encourage your potential buyer to keep in touch with you. As mentioned above, continuously growing your subscriber base is part and parcel for effective lead generation. Simple yet eye-catching pop-up forms are a great way to ask people to leave specific information, working perfectly as an email sign-up tool. Leverage web pop-ups to offer personalized discounts, promo deals, limited-time sales, etc. For example, you can configure a pop-up with a special discount for visitors that are about to close a page to make them stay. These web forms are also very useful when it comes to introducing the company’s social media accounts. 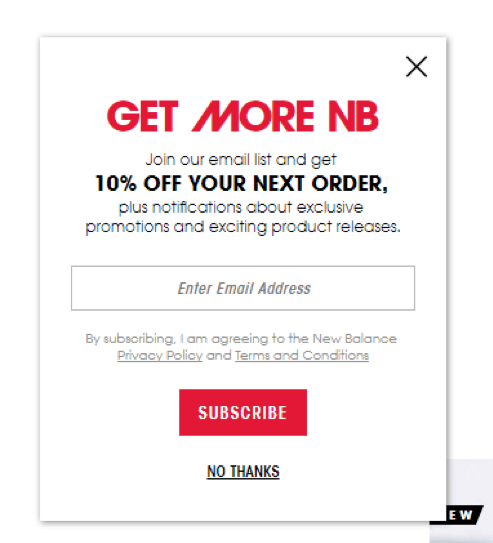 For instance, New Balance customers can get 10% off the next purchase if they subscribe to the email list. The deal is offered in a pop-up form that appears as soon as a visitor opens the website. There’s no need to say that the content rules today. Targeting visitors with relevant and useful content results in 73% higher conversion rates. The rule is simple: the content you share has to be valuable enough to engage readers and draw their attention to your brand. So, it’s not only about creating landing pages on your website that sell your products but rather becoming a source of helpful, even educational information. For the majority of customers, the process of buying starts with online research. They obviously want to choose a product that addresses their needs and offers the best value for money. Thus, you can share this information via blog posts, podcasts, video feed, and other content types to help your prospects make well-informed purchasing decisions. People tend to trust each other a lot more than the statements made by brands, so that’s why word-of-mouth marketing has a great impact on business results. This marketing tactic works perfectly online and it’s the main ecommerce lead generation strategy for many web stores. 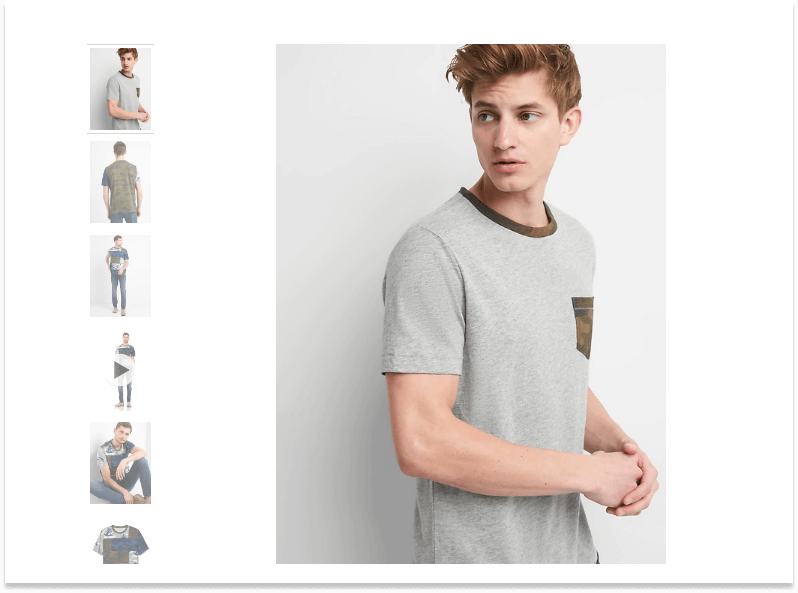 Apart from customer reviews, this type of marketing can be implemented in the form of an effective ecommerce referral program. You can turn your own customers into an actual lead generation channel by giving them the motive to spread the word about your products. Have a look at the famous Airbnb. Their referral program allows travelers to get a credit for future trips by referring friends to the service. 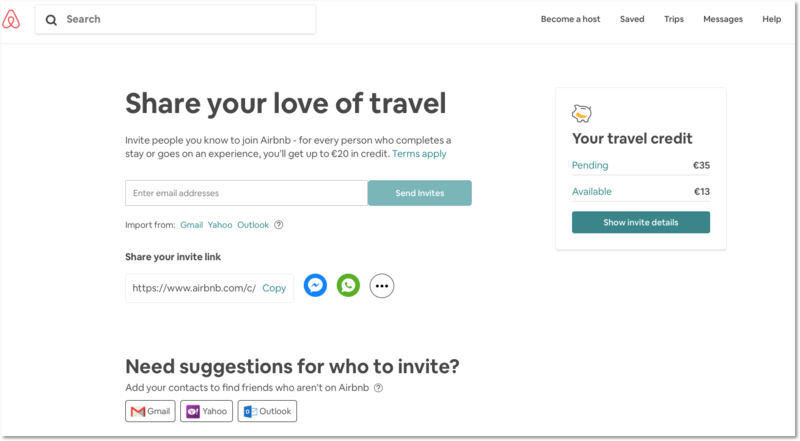 This way users have a great incentive to share their referral links with friends, whilst the platform gets more leads and, consequently, customers. Videos are a powerful marketing tool, as purchasing decisions of most consumers are directly impacted by videos. Remember that engaging product videos are the best friend of your brand, so adding them to your product pages will definitely do the trick. It’s also a bright idea to create other versions of each video for your social media pages by taking into account user preferences. When it comes to the online business, online customers reviews play a pivotal role. 9 in 10 consumers read reviews written by other users before accessing a web store. It means that enabling clients to communicate with the brand through product reviews and ratings helps the e-business drive customer engagement. The more positive reviews from current customers you get, the higher the chances are that new leads will lean towards your store for a purchase. Being one of the best ecommerce platforms, Magento has the customer review functionality by default. Magento store admins can moderate reviews by approving and rejecting them. They may even enable guest reviews for unregistered users. 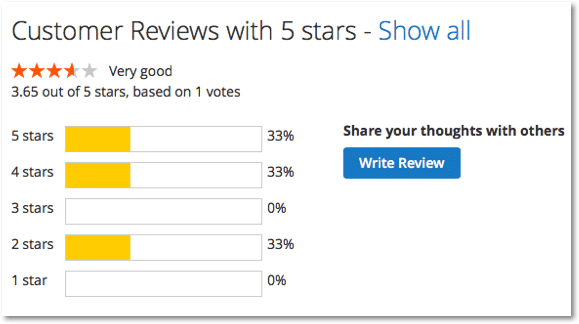 To prompt your Magento customers to leave more reviews, you can leverage Product Reviews & Ratings, an extension for Magento. There’s proven evidence that social media influences purchasing decisions. Why don’t you reach out to this audience? As being active in social media is of paramount importance for ecommerce businesses, you may employ an effective social media strategy. Adding social media buttons to product pages can also help the store to boost engagement by encouraging online visitors to share their favorite products with others. Besides, it’s not a secret that customers love getting freebies. Who doesn’t, right? By hosting giveaways, contests and other similar activities, you increase your brand reach on social media. You can offer one of your products or even a service (say, yearly free shipping) as a gift. The more people join to participate, the more new leads you get, which, in turn, might soon become your regular buyers. 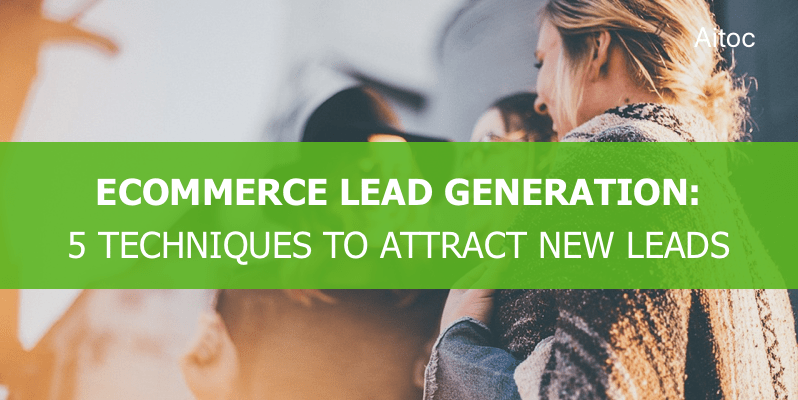 The commercial success of your ecommerce business depends heavily on the number of leads you generate on your website. We hope that the strategies Aitoc shared in this article will help you get more prospects, bringing increased conversions and sales. Good luck!